The Bronx boy in me couldn't let this piece of footwear coolness pass me by. 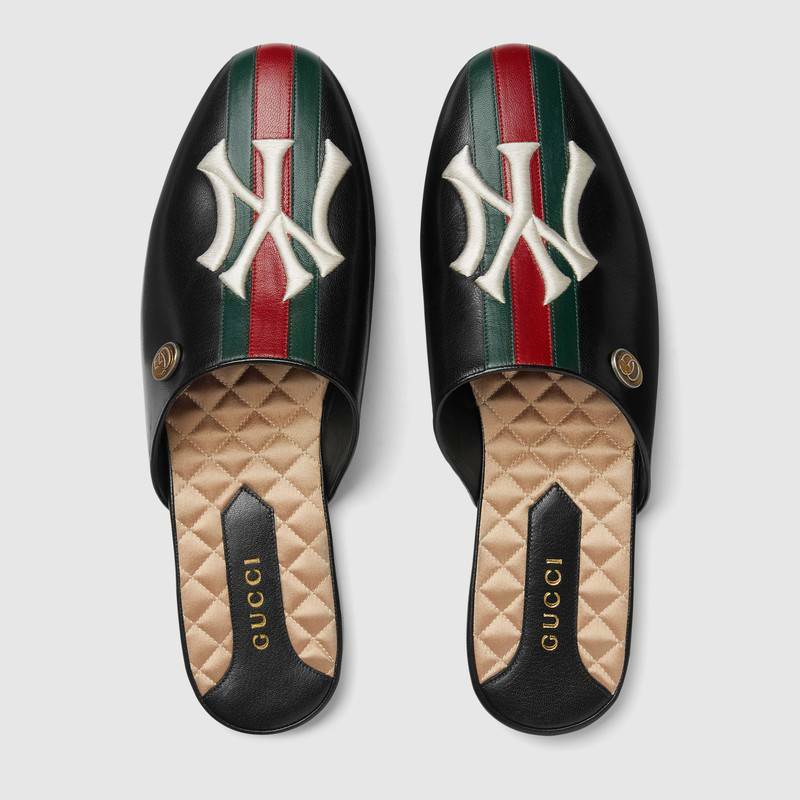 Gucci offers up a bit of highbrow "suavemente-ness" with this Leather NY Yankees Slipper. 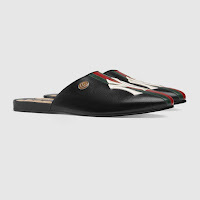 The upper is a buttery clean premium black leather that features the iconic red and green Gucci twill and "GG" decal branding together with the white New York Yankees logo patch. 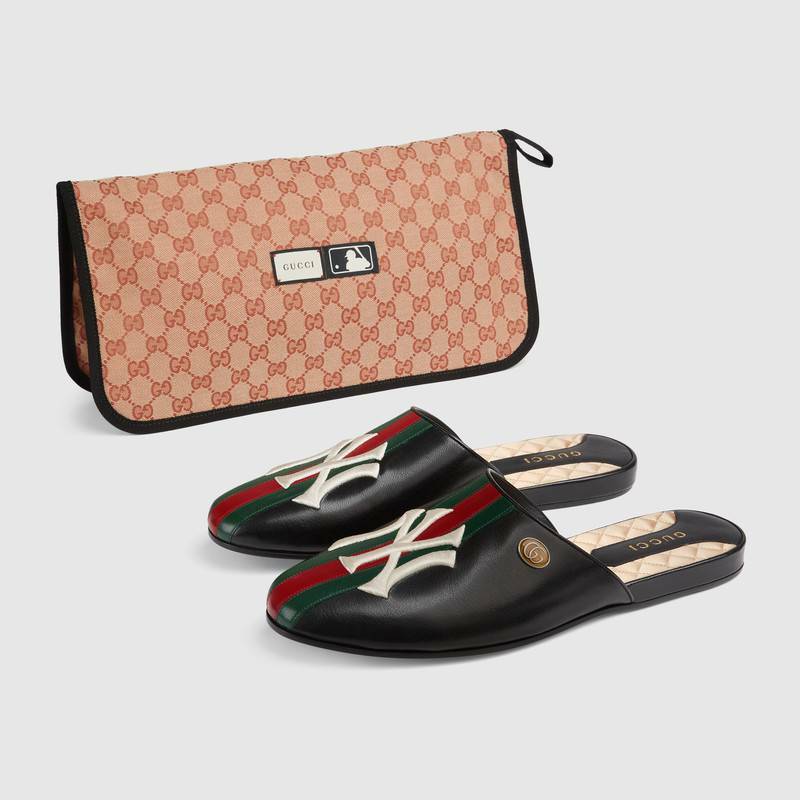 The cushy monogram logo footbed and matching dust case are just icing on the deal. 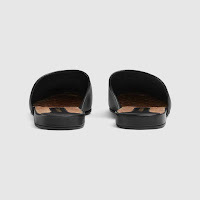 It's a bit much for a slipper but then again don't think slipper and just in the house. 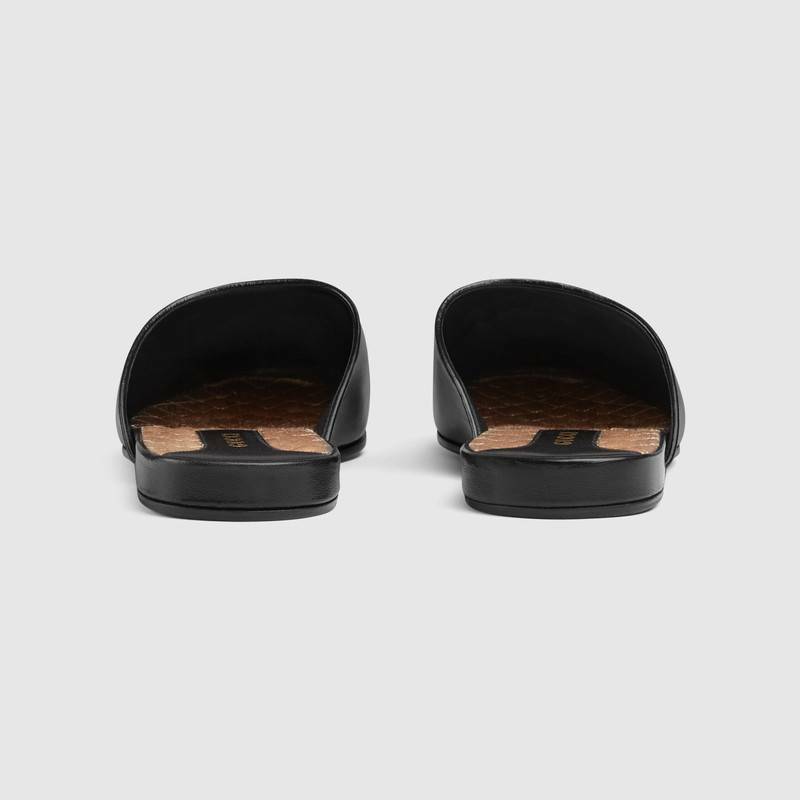 Wait this with great cropped trousers or silkened bedroom trousers for a romantic take on your Fall after 5 ensemble. 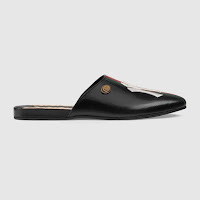 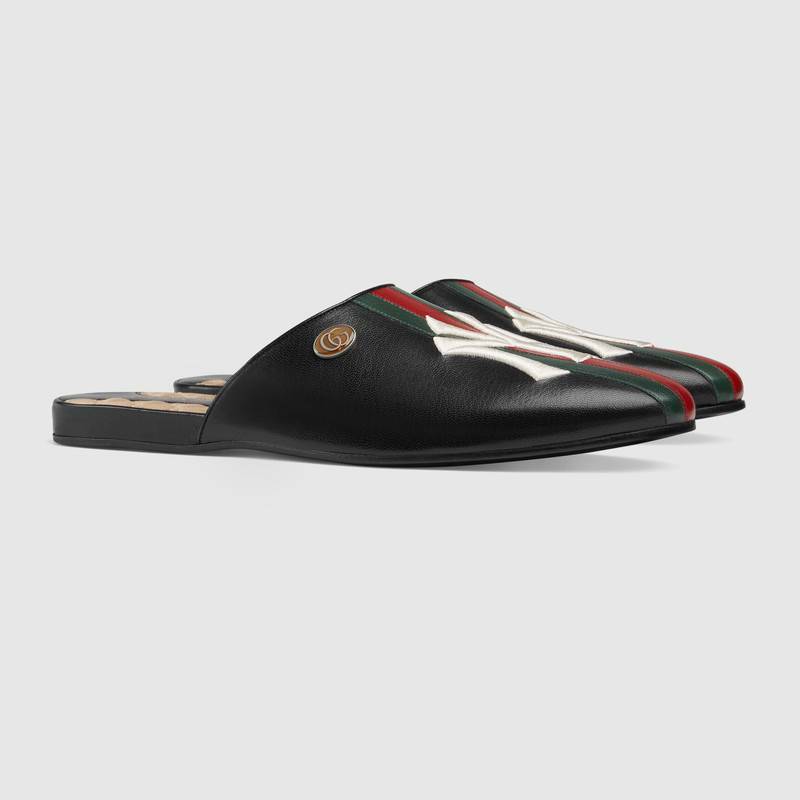 Available now at Gucci.com.